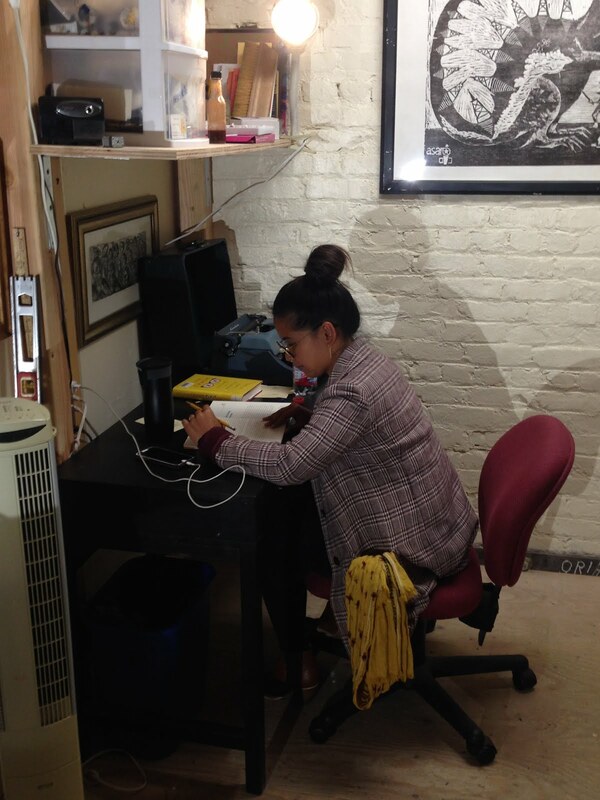 In the Mission District, in a quiet corner during open studios, a yearly art event in which artists open their doors to the public to visit their studios, see their art, and drink their wine. 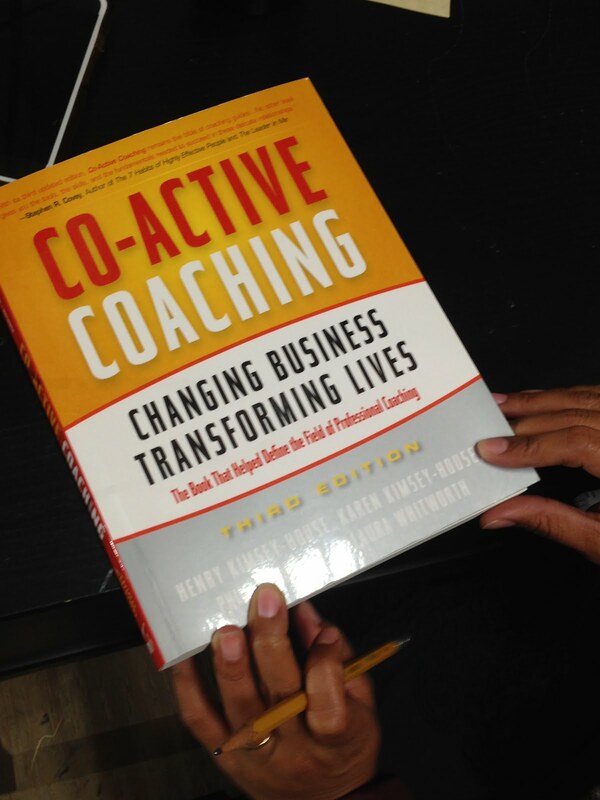 She is reading Co-Active Coaching: Changing Business, Transforming Lives, by Henry Kimsey-House,‎ Karen Kimsey-House,‎ Phillip Sandahl,‎ and Laura Whitworth. She is in the process of becoming a life coach. She is a poet, as well, and her favorite author is the poet, Yesika Salgado. She had admired her from afar and now has monthly Facetime wrting-coaching sessions with her. Salgado recently published a book of poetry is called Corazón. Another favorite book of hers is Tiny Beautiful Things: Advice on Love and Life from Dear Sugar, selections from an advice column written for the literary website, The Rumpus, by Cheryl Strayed. She likes the honesty in the advice.